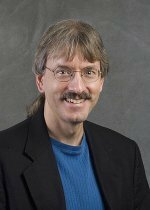 Congratulations to Dr. Steven J. Smith at Pacific Northwest National Laboratory for authoring a chapter in a new book, Concentrating Solar Power Technology: Principles, Developments and Applications. Clean energy research and technologies, including solar power, are needed to help meet the world's energy demands. Concentrating solar power technology is explored in this book showing its potential from fundamental science through systems design and application. Concentrating solar thermal power (CSP thermal) technology concentrates solar energy and uses a heat-engine to generate electrical power. Scientists, engineers and developers are exploring issues of design, siting and delivery to meet increasing demands for clean energy. "CSP thermal plants have substantial potential to produce reliable, low-carbon electricity," said Smith. "Understanding the factors that influence the market potential of CSP is important for policymakers and researchers." Smith lent his expertise in projecting the market potential of CSP. His chapter addresses factors that impact the long-term market penetration of this technology. Smith's chapter discusses the role of system cost and performance, solar irradiance characteristics, thermal storage and long-distance transmission, and discusses illustrative scenarios from the Global Change Assessment Model (GCAM). GCAM, an integrated energy-economic model widely used by scientists and policy-makers around the world to understand global change, was developed at PNNL with funding from the U.S. Department of Energy's Office of Science, Integrated Assessment Research Program. Working at the Joint Global Change Research Institute (JGCRI) in College Park, Maryland, Smith researches the long-term socioeconomic scenarios of climate change and the interaction of human systems with the climate systems. His research covers topics on the effects of sulfate and black carbon aerosols, non-CO2 greenhouse gases, the carbon cycle, land-use issues, and alternative energy sources such as biomass, solar and wind. JGCRI is a partnership between PNNL and the University of Maryland. Smith joined PNNL in 1999 coming from the National Center for Atmospheric Research. He was lead author for the Intergovernmental Panel on Climate Change Special Report on Emissions Scenarios. He has authored and co-authored numerous publications, book chapters, and technical reports addressing interdisciplinary aspects of energy and climate change. He holds a Ph.D. in physics from the University of California-Los Angeles.